Charles (Chuck) F. Rossow, 54, rural Great Bend, ND, passed away unexpectedly Saturday, September 21, 2013, at St. Francis Healthcare Campus, Breckenridge, MN. The Funeral Service will be Thursday, 10:00 a.m., at Trinity Lutheran Church, Great Bend, ND, with Rev. Sean Daenzer officiating. Visitation will be Wednesday from 5 PM to 7 PM with a 7PM Prayer Service at Trinity Lutheran Church and one hour before the service at the church on Thursday. Arrangements are with Vertin-Munson Funeral Home, Wahpeton. Charles Frederick Rossow, "Chuck", was born March 28, 1959, at Breckenridge, MN, the son of Dallas and Elaine (Wanek) Rossow. He attended elementary school at Great Bend and graduated from high school at Wahpeton in 1977. He attended NDSCS, in Farm Management and received his Associate Degree. Chuck worked for a few months at Wil-Rich and Minn-Dak Farmers Co-op, both of Wahpeton. He later started his career in farming at the Rossow home farm near Great Bend where he has continued farming to the present day. He married Dawn Ziegelman on September 17, 1983 in Mooreton, ND; to this marriage three children were born, Derrick, Chance and Courtney. Farming became Chuck's priority along with family; and he greatly loved it. He had a strong heart for the people and things he loved. Chuck farmed and he also raised pigs" back in the day." Chuck was currently a chairman of Brandenburg Township and an Elder with Trinity Lutheran Church. Chuck was never a follower; he loved to be the leader, "barking" orders at his two hired men, Derrick and Jake. The three men worked together as a team, always doing things in three's. He loved watching his crop grow, and watching all his hard work come to life. He was a very particular man when it came to his yard and machinery. Chuck could build machinery, miscellaneous things from scratch; he was a good carpenter with a strong brain. He always took care of his family and friends first before helping himself. He had many friends always by his side. Chuck had many hobbies he enjoyed: ice fishing, trap shooting, riding snowmobile, playing cards with friends, spending time with his dogs, Molly and Macy, and spending time reading the green section in the newspaper weekly. He had a special friend, Lisa, whom he loved spending time with. He had a great sense of humor including having nick names for all he met. He had many life quotes to live life by. Chuck was the best friend to all three of his children; always supporting them, being there, and giving them the best advice he had. He will be greatly missed as a father, grandpa and as a friend. 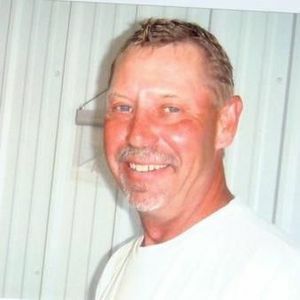 Chuck is survived by his three children: Derrick (Katie) Rossow, Great Bend; Chance (Dallas) Havig, Washburn, ND; Courtney Rossow and Jake Halstensgaard, a special friend, Wahpeton, three grandchildren, Amelia Rossow, Great Bend, ND and Blaik and Bralyn Havig, Washburn, ND, his parents, Dallas and Elaine Rossow, Breckenridge, MN; two brothers and a sister: Tom (Donna) Rossow, DeLamere, ND; Kim (Dan) Peterman, Peosta, IA; Kevin (Kerry) Rossow, Dassel, MN; several nieces and nephews, a special friend, Lisa Anton, Hankinson, ND and two companion dogs, "Molly' and "Macy". He was preceded in death by his grandparents. Memorials may be given to Trinity Lutheran Church or Cemetery Fund. Trinity Lutheran Church, Great Bend, ND Funeral Service for Charles Frederick Rossow https://www.tributes.com/obituary/show/Charles-Frederick-Rossow-96433447#services https://www.tributes.com/obituary/get_ics/96433447?service=2775303&tr= Visitation at church from 9:00-10:00 A.M.
Visitation at church from 9:00-10:00 A.M. I'm so sorry for your loss of Charles. All who have lost loved ones can find comfort in the hope found at John 3:16. My sincerest condolences. So many great memories of riding snow mobile and hanging out at the Rossow farm with Chuck. He was a wonderful man who impacted so many lives. I am very sorry for your loss. My family's prayers are with all of you as you come together to share your memories and celebrate Chuck's life. Our condolences to your family at the loss of your family. May fond memories provide you comfort and peace. Your father rented our farmland land. Kim and family, our thoughts and prayers are with all of you during this difficult and very sad time. We are so very sorry for your loss. With Deepest Sympathy. Your Peterman Family.